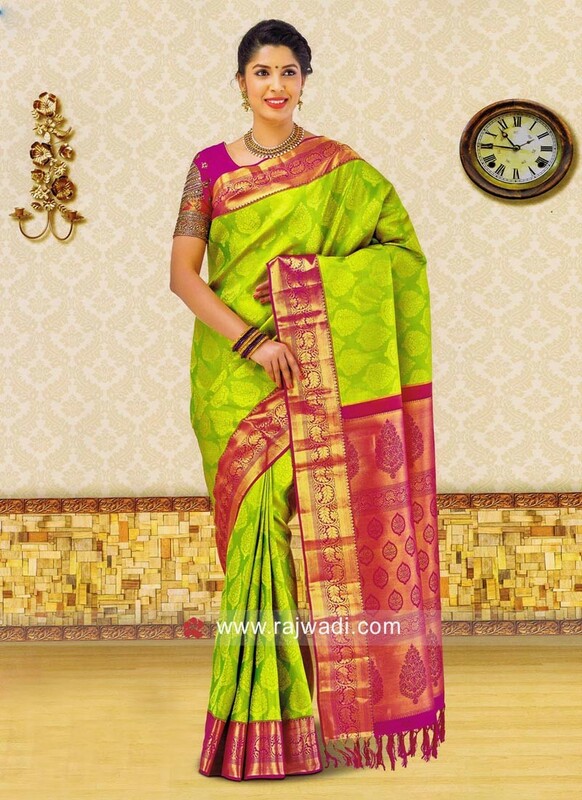 Designer Kancheepuram Silk wedding reception saree weaved in zari. 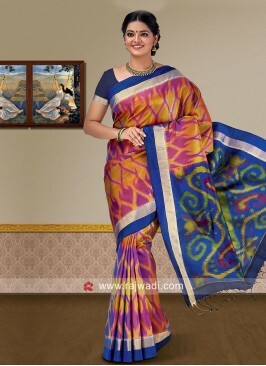 Comes with Pure Silk contrast blouse piece. 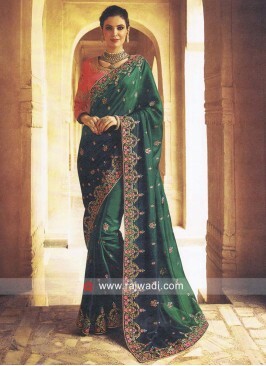 Dark Green Saree with Uns.. 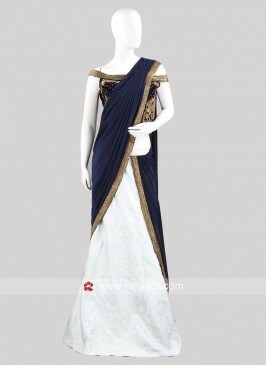 Satin Silk Heavy Work Sar..
Blue Saree with Black Blo..
Peacock Blue Satin Silk S..